Why do women get so angry when I teach that mothers need to be home with their precious children full time? You would think I am teaching something evil by their reactions towards me! It’s not something that is easy to teach in this feminized culture. I love it, however, when I read comments from my posts from wise women that understand the importance of mothers at home and being keepers at home as God commands. Here are two that have stood out to me recently. “Titus two ‘keeper at home’ literally means to be a domestic and guard your home. You cannot guard your home if you leave your post and you cannot be a domestic when you work outside the home. 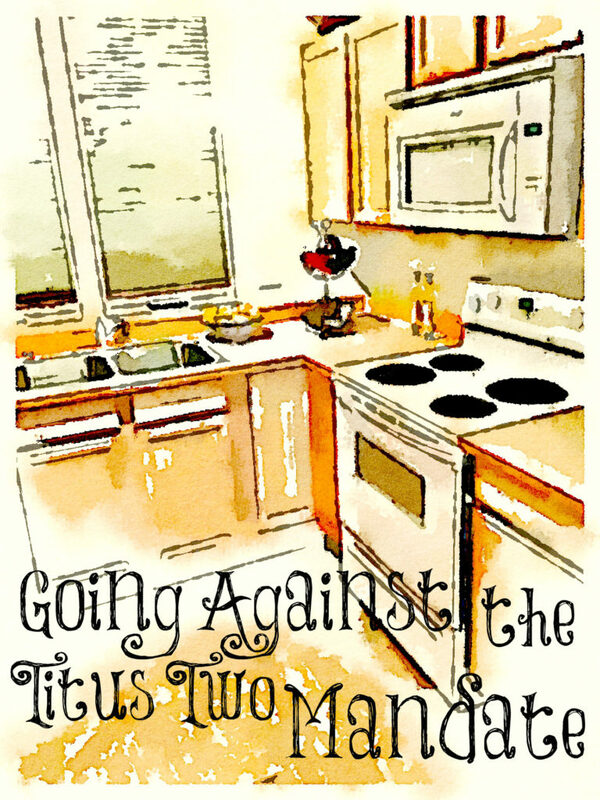 Yes, there are many Christian ladies who work outside the home, but they go against the Titus two mandate. We have to stop justifying what we want to do because ‘other godly women’ do it. “Christ is our example, not man. His Word is written on our hearts, not man’s. People sin and fail but His Word doesn’t. It can be scary to take that first step and society has made it difficult for a woman to stay home but God’s instructions are not bound by time. We have made it hard on ourselves: internet, cell phones, cable, eating out, two vehicles, 20 pairs of shoes, etc. Her mother listened to the lies of feminism instead of the cries of her children as many mothers do today, sadly. Please, don’t make the same mistake. The Left has made anyone who goes against its narrative to be not just someone who disagrees, but evil and immoral! Radical feminism has taught a generation of women to be self centered and only serve themselves and their own gain, never to be a servant to their families, communities and above all raise their own children and cherish their motherhood. No! Now motherhood is seen as oppressive and women have to be like men to be worth something as a human being in the ultimate sexist hypocrisy! We need more women to speak up against this sexist and degrading view of women! The church of our generation is far astray. Their rampant sin throughout, and over 50% divorce rate are the fruits that prove their Godlessness, false teachings, and absence of Godly discipline in the churches. They have embraced the satanic supremacist ideology of Feminism. To the point where they idolize women(as goddesses) above God. They are so fully Feminist, that they are openly and fully at war with patriarchal men like myself. It is no wonder that they also can’t stand Godly submissive women who submit to their own husbands. If I were to go to any church and insist the women be silent like the Bible says, I’d be thrown out, and any noisy women I tried to confront would be “comforted” and reassured that the group supported her right to say whatever she wanted to say there. If I were to shame women who were frivolously divorcing and tearing their own homes apart, they would confront me as an evildoer. If I were to confront women who showed up to church obscenely dressed, I would be stopped. If, like Lori, I tried to impress upon women God’s insistence on chastity, and men’s desire to marry a virgin, likewise they would attack me. The apostate church wants nothing to do with most of God’s words or God’s ways. If a woman showed up to church wearing on her head, a symbol of being under authority(1 Corinthians 11:4-10), people would rush to tell her after the service, how she did not need to do that. No goddess should submit to any man’s authority, not even symbolically! (sarcasm) If I were a woman, I’d want to wear a head covering, not only out of beautiful obedience to God, and deference to my husband, but also to enjoy setting the wicked one’s hearts & minds alight, by my blameless act of humility. If people react to your post by saying “How wrong!” I hope they’ll follow up by thinking to themselves a) What is making me react strongly to this post? and b) If I disagree, what Biblical verses lead me to this disagreement? Believers disagree on many aspects–some terribly important, some less so–but we ought always to be examining our beliefs and assumptions in the light of Scripture. I’m a SHM of 4 children. I hear the comment “Your are so lucky to be able to stay home.” It drives me crazy to hear this! Staying home has nothing to do with luck, it is a choice and one that requires much sacrifice. We are not made of money by any means- I’m a pastor’s wife. We decided long ago that I would stay home with our children. I have a college degree (no debt) and could easily find a job to contribute. However on the grand scale of things, my children need me more than my pocket book. We may not drive the grandest house, newest cars, have the best clothes, or participate in lots of activities but my kids won’t remember having those things, or lack there of. They will remember the countless hours outside, the bike rides, living room dance parties, nightly dinner and table discussions and the movie nights. I’m no where near the mom I want to be, I fail daily and everything is a learning curve. At the end of this life I pray the countless years I spent shepherding them at home will produce great fruit and the ultimate goal, seeing my children in heaven will have been met. Thank you for this post Lori. I wish Someone had spoke these words to me with my first child. I stayed home after my first, but I was second guessing the decision for quite a while. Thankfully, we kept to our decision and then decided to homeschool (I had previously worked in the education system and hated the thought of sending my child to school so young). In my experience, it has created a closer relationship between our children with one another and also our relationship with them. Becky M.’s comment in your post pinged a thought into my head. It’s so true that my working friends only speak about work. They never speak of their home, their meals (unless out), or anything domestic. It’s always work, the people at work, etc. However, if I end up speaking to them on a Friday, they’ll always remark about how glad they are that it’s Friday and they get a couple of days off. And when I talk to them on Monday, all they did all weekend was run around all weekend and sleep. Still no mention of anything at home. It just strikes me as what a sad life that is. I remember it from my years working full time. The difference is that I KNEW how badly I wanted to be at home and we worked hard to get me there. It took 4 yrs. to part time and another 2 to full time. We both wish we had been smart enough to plan for it while single. I can’t stress enough how much our lives and marriage improved after I assumed the role that God meant for me to have. I would have loved to have had my own home, to have been a stay at home mom instead we ended up living with my parents in their home after loosing our mobile home to foreclosure. It was frustrating. My husband had emotional issues and could not hold a job. I did not work for luxuries. Our cars were high mileage and old which was fine with us. Our families clothes came from thrift stores, discount stores and the bargains found in end of year sales at regular stores. We had no luxuries or fancy vacations. We rarely ate out. My job gave us car insurance, health insurance, gas for the car, helped out with household expenses and the ability to provide for our children. (I did not feel it was right for my older parents to support us and our two daughters) My husbands work was sporadic and minimum wage. My was consistent but also minimum wage with benefits. However God supplied our needs. He sustained us. We live in an area that was once rural, affordable and conservative but has become overbuilt, affluent and liberal. It has been hard to have little and be surrounded by wealth. Yet I am happy in my century old home on a plot of ground in what used to be country. It is not what you have it is what you make it. Happiness comes from the Lord not possessions. I am now a widow, retired, our children are married and live out of state, we have many grandchildren, my parents are gone and yet I feel blessed. I know the Lord has and will continue to supply my needs. In raising my girls I stressed the importance of being a stay at home mom if at all possible and both of them have been able to be at home. They also live in very affordable areas and are very frugal. Please understand there are some of us whose heart is at home even when we are not, that not all us work for luxuries but for survival. That God does supply our needs in many ways. That God does use us where we are in whatever circumstances we find ourselves in. On another note it would have been very helpful had my husband and I had Christian mentors to guide and teach us. I was raised in Christian family, my husband was not. We could have used an older couple walking along side of us. Instead we were judged and not accepted by a lot of Christians around us due to his lack of employment. One thing I have learned is to be available to those who are struggling to be to others what I would have liked others to have been to us. My husband can’t work full-time either, for health reasons. For me, working is not for luxuries, it is for survival. I only work part-time, but it’s absolutely necessary for us. There have been times in my life when I have been able to be at home full-time with our 4 beautiful children and I love it. If it was possible, I would be home and not working at all, but my husband needs my help in our business. He simply can’t do it without me. And my role at his helpmeet is helping where he needs me most. Hopefully, I’ll be able to home full-time again soon. In the meantime, I’m home as much as I can, and my husband is home the rest of the time. I agree with Brittany. I am also a SAHM of 4 children. Not by accident, but because my husband and I believe very firmly that God calls wives and mothers to prioritise home, family and above all children. I am very happy to say that my husband would not allow me to work outside the home and I firmly believe that for me to do so, or for us to organise our family so that I could would be sinful. There are of course many wonderful mothers who are forced by circumstances to work outside the home to support their families. But that should never be a first choice and most importantly it should never be because the mother believes her career to be more important than the role for which God made her – motherhood. Please pray for me. My children are grown, but the Lord has recently shown me that working outside of the home is hurting my marriage, my health, our home, and my ability to minister to my children, grandchildren, church family, and those in need whose paths I may cross. My husband and I are planning to sell our house and to buy a home that will fit into our budget with his earnings. I am asking for the Lord’s daily guidance and direction of my steps as I seek to honor him. I have not yet given notice, due to a specific obligation I gave my word to complete. But I know that this is what I must do, and I am drawn more and more in my heart to “be not conformed to this world,” even for a Christian employer. Thank you for this encouragement. I would appreciate your prayers greatly. I long to follow His will. Another thing that Feminists hate to hear is that trying to work, while you are pregnant, is actually somewhat dangerous. The number of birth complications for career women are quite a bit higher. It’s not because of the physical work per se…women at home work just as hard. The problem with career women is the stress levels. Stress makes it harder for the woman’s body to relax in the birthing process. Over and over again as a counselor at a hospital, I’ve seen high powered career women unable to give birth. That is interesting Bill- I had never thought about the impact on labour. It makes sense though. Statistically, I wonder whetehr incidences of post natal psychosis or depression are higher in working mothers? Some women don’t want to give up their SUV and their control; give up their seeming significance and relative stardom. That is what we seem to talk about most of the time here, and rightfully so. But some women have a ‘legitimate’ fear [I use that word very loosely] in wondering how it can all be unraveled: getting rid of a $2500/mo house payment and 2 car payments … and then adjusting to much less disposable income. Living out Scripture forces people to take a totally different perspective on all of life. Welcome to ‘be ye separate’ …welcome to ‘Be holy for I am holy.’ But this does transcend one from the carnal to the spiritual. And on the macro scale, imagine if just 10% of the women in this country left the workforce …the big sucking sound, the implosion economically: houses being sold off, extra cars on the market, sales of new units going unsold, government income / sales taxes down, college enrollment off …and on and on. That is scary to think about, for we have built a false world and His people have bought into it [and I am guilty]. But there is a positive side: less traffic, less greenhouse gasses [if that is real], mothers actually at home for the kids, wives at home for her husband. And His people might actually be pleasing Him for once. And, they have then gained their soul and lost the world …all beautiful in the sight of the Lord. That is peace on earth, good will toward men. I love this comment, Jim. My heart has always been at home but my husband is developmentally challenged, so I built a family business that allowed me to be at home or on the road with my family. My husband holds odd jobs to fill in the gaps. We homestead and I home schooled. I was my son’s teacher (who is also developmentally challenged), I ran the family business (most of it), I took care of my elderly parents, I was a musician and singer with my husband at church, we served together in the Boy Scouts of America and we were our son’s leaders. I built my life with my family and I tried to do everything I could to include our son from early on allowing him to use his talents as often as he could so he would feel like he was contributing as we were. We traveled and home schooled in the van, the motel, in a tent, and at home. He was always with me including that he never had a sitter except my mom until she passed when he was 9. We were not financially well off. My husband, son, and I make most of what we wear or use, and we cook everything from scratch and we don’t eat out. We have one family vehicle that my husband takes most of the time to do his odd jobs. I always deeply desired to be the full time stay at home wife and mom. This was the best I could do because my husband needed my help and I needed to be there for both of them. We made far less then everyone else and we have struggled financially all of our married life (34 years). I live in an area where we moved to almost 30 plus years ago to be in a rural, conservative, Bible believing area. Over the years, most of those who homesteaded gave it up for a convenient life style and found jobs and went inside to air-condition and T.V. Women went to work and gave up sewing, canning, etc. Then, just south of us, and then all around us, wealthy homes popped up and the culture here developed around casinos. We are now oddballs for my being first and foremost a wife, mother, and homemaker first and then a family business owner. We are also oddballs because we homestead in a place that long ago gave it up (but was settled by their grandparents who were homesteaders). I am 60 now and I am a conservative, Christian woman who’s greatest desire is for taking care of my family first and foremost in the home. I cannot retire. As my husband gets older, his issues get worse. My son is now a graduate from college and university. He’s going on to his masters. I home schooled him from pre-K – 12th grade. He finished both college and university on the President’s list and his good grades earned him several scholarships that caused him to finish with absolutely no debt at all, in fact, it was almost like he was paid to go to college. The Lord has so blessed my commitment to stay as true as possible to the plan to be his mom first and then run the family business third, we are just blown away by the results. I cried, yelled, carried on because I wanted to give it up so often and put him in school and just go to work. But now, we are a bonded family. We work together, we play worship music together at the church, we learn together, we minister together, and we homestead together. We are a team. If I could right at this moment have the choice or go back and have the choice from the beginning all over again – if I could have – I would have been a stay a home wife and mom. My greatest rewards come from the feeling of doing what I can to serve the Lord in my family. I have had many accolades – been on stages with a thousand people in the audience applauding me, but it never ever compares to the ordinary days when I know I have done my best to help my family. 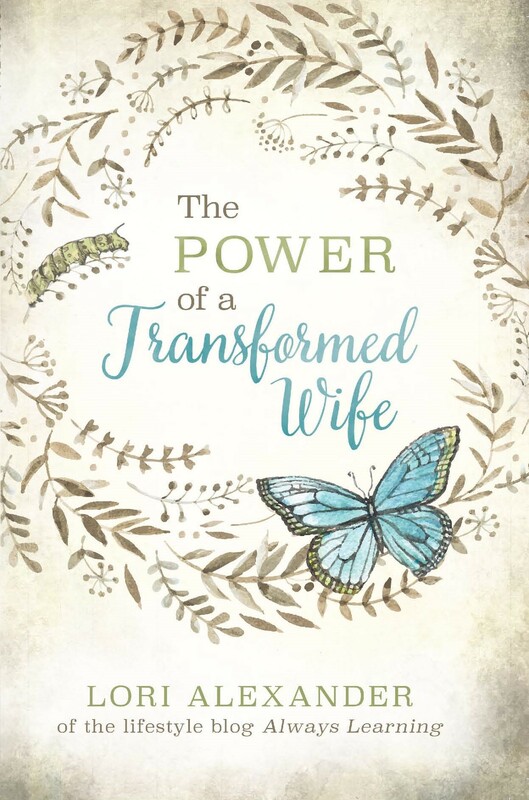 It sincerely upsets me to see the attacks on the author of the Transformed Wife page. When I see the attacks, my knee jerk reaction is to “set them straight” from my own experience, but I realize that this is generation that our generation bore and raised. Women bought the lie that was forced down my throat as a teen and young adult that women’s liberation was the only way to truly find ourselves and be content. We fed that lie. Then it went further that we were superior to men and all men were abusive and evil. Then our generation of women turned it into a campaign and destroyed the position of men, and then our nation. I can’t tell you how many women my age regret having bought that set of lies and how many wished they had never gone to work but stayed home. I forfeited all the luxuries for raising my son myself. I will never ever for one second regret that decision. It was very difficult but now I have this wonderful young man whom I call son and who loves and respects me and helps me as I am getting older. I gave him back to the Lord on his birthday and the Lord endowed me with the strength to raise him up for the Lord. Beautifully written, Cherie. I think I am going to make it into a blog post! So what happens in you’re opinion if a woman can not stay home with the children? I am the main provider for my household, I am the source of insurance for my husband who has a degenerative disease, I am the caretaker of my family. We don’t live lavishly. But if I was to stop working and we were to only rely on my husbands income our family would quickly drop into poverty. Yes I am exhausted. I have to do chores on the weekends sometimes or wake up before the kids do to get things done. I cook our meals to save money and sometimes they are rushed or sometimes we eat takeout. I miss my kids when I’m at work but I know I’m doing what needs to be done to take care of my family. I’m not sure how you think we could do things differently. I think your proposal that mothers stay home is great, but what happens when a woman’s husband wants her to work outside the home? Is she insubmissive if she tries to convince him that she should stay home? I have struggled with this for years, and the only way I can keep my sanity (and peace within my home) is to believe that God is calling me to serve my family by providing for them financially. My husband is a stay-at-home dad who has no interest in switching roles. Here is a post on this issue, Bonnie.